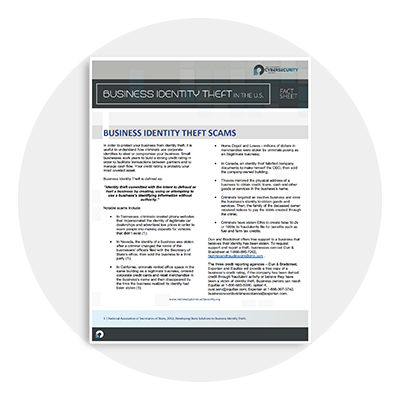 The Department of Justice’s Office for Victims of Crime, defines business identity theft as a type of identity theft committed with the intent to defraud or hurt a business (e. g. financial business identity, extortion). Obtaining new lines of credit, loans or credit cards in the business’s name; and/or filing fraudulent UCCs. Filing fraudulent returns using tax subsidies and/or obtaining refunds either through the federal and/or state governments. Manipulating a business’s identity (website) on the web. 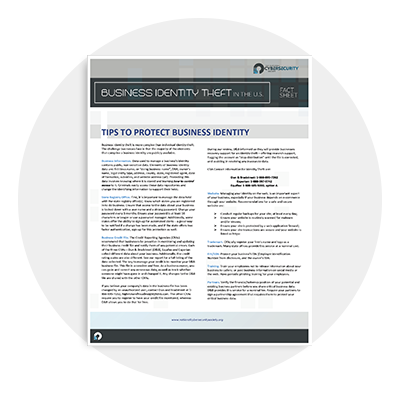 Registering the business name or logo as an official trademark and demanding a ransom for release of the trademarked business name or logo. 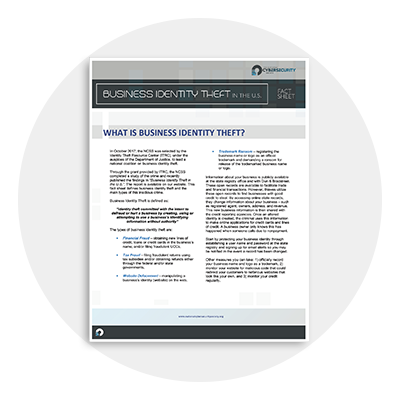 The FTC’s Identity Theft Clearinghouse collects data on consumer identity theft, but does not collect statistics on business identity theft. 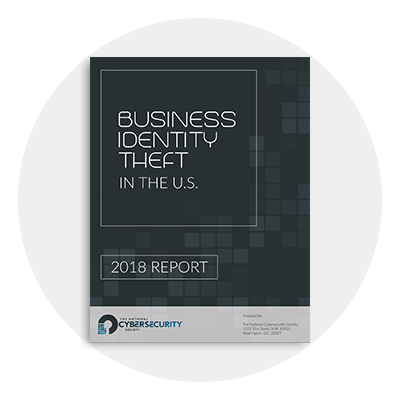 In 2016, the FTC reported that the number of complaints for consumer identity theft at 400,000 —- which had declined slightly from previous years — with a cumulative number of identity victims at 17.6 million or 7% of the U.S population. 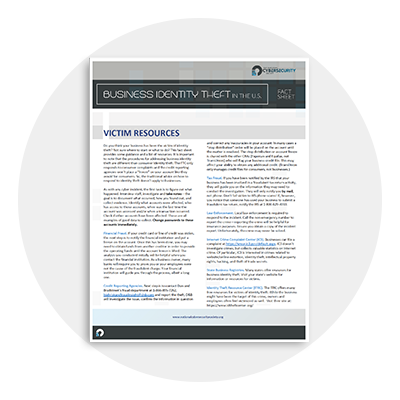 In October 2017, the Identity Theft Resource Center selected the National Cybersecurity Society as one of six sub-grantees, to lead a national coalition under the auspices of the National Identity Theft Victims Assistance Network (NITVAN). NITVAN is a network of coalitions across the country engaged in creating, enhancing and delivering identity theft and identity-related cybercrime victim assistance training and outreach to improve the ability to provide direct victim assistance services. The program provides resources to establish and augment the work of regional, statewide and community-based coalitions, with an emphasis on threats from cyberspace. Funding for this award is derived from the U.S. Department of Justice, Office for Victims of Crime, through the Crime Victims Fund.